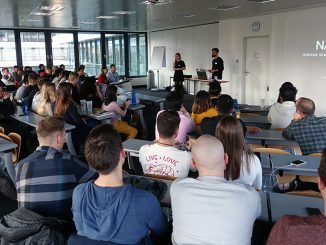 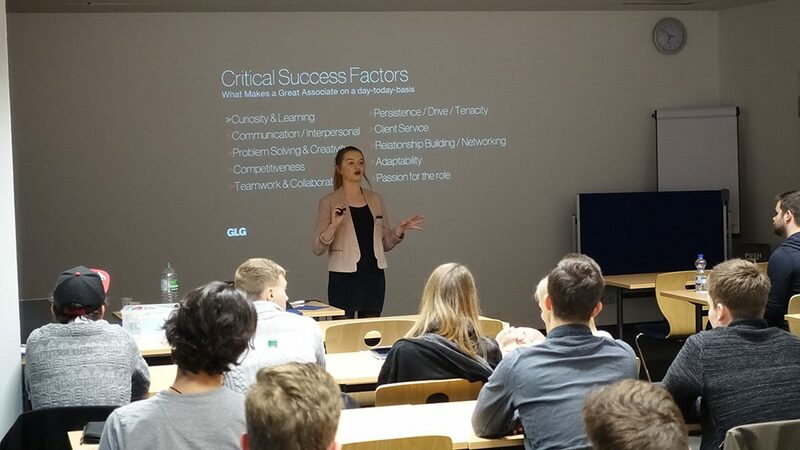 Yesterday evening, another edition of the “Recruiting @ MBS” career event series took place at Munich Business School, hosted by the MBS Career Center. 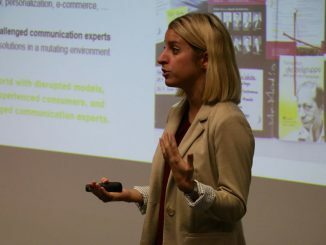 The event featured Gerson Lehrman Group (GLG), an international expert network that provides consulting services to business professionals. 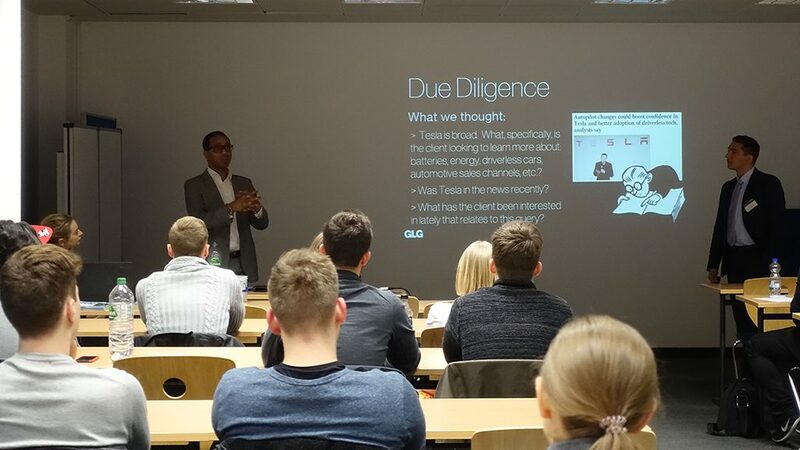 The company was represented by Biju Kurian, Senior Vice President, former Head of Research Operations and currently leading talent acquisition efforts for the Dublin branch of GLG. 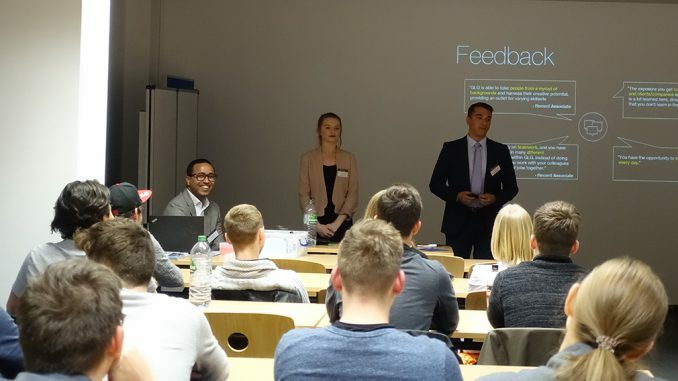 He was accompanied by Lauren Dolphin, Campus Recruiter, and Simon Kopania, Research Associate DACH Market. 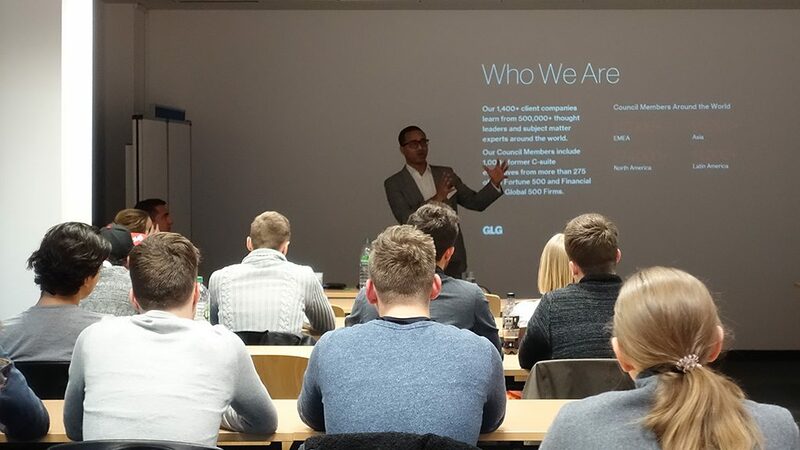 The GLG representatives provided the MBS Bachelor, Master and MBA students with insights into the corporate practice at GLG, and presented their associate programs for career starters. 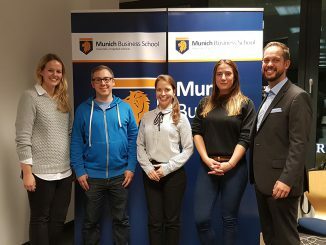 The evening was concluded with a cozy get-together at the MBS Lounge.